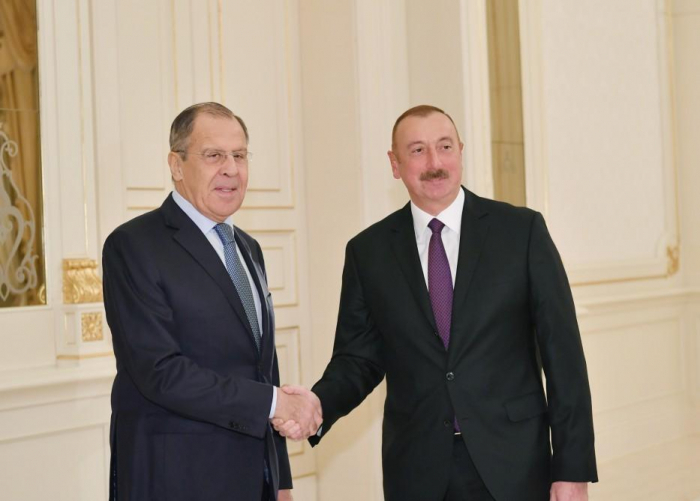 We do hope, with the Russia's efforts as one of the co-chairs of the OSCE Minsk Group 2019 will give a new impetus to the Nagorno-Karabakh conflict settlement process", President of Azerbaijan Ilham Aliyev said at the meeting with Russian Foreign Minister Sergei Lavrov, AzVision.az reports. "We have been cooperating in many areas. I would like to note with great pleasure the results of our work on the creation of the North-South Corridor. We are actively cooperating in this direction. The relevant structures and transport agencies are working very productively. We will continue to work together with other partners and neighbors to complete this project as soon as possible", the President said. 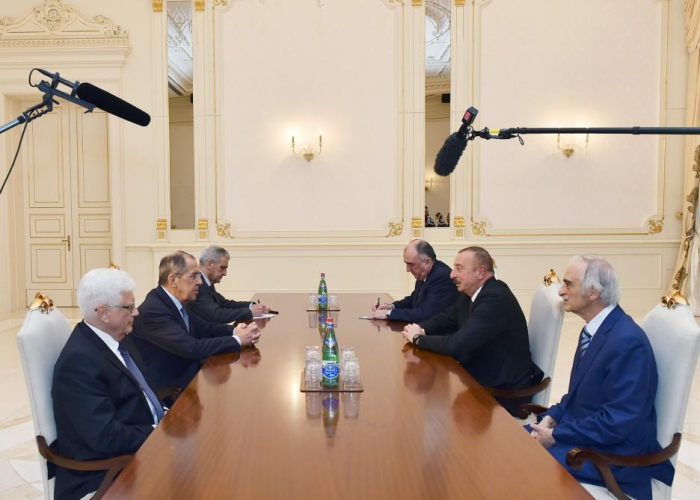 Russia will facilitate dialogue between Baku and Yerevan in order to help the sides find a resolution to the Nagorno-Karabakh conflict, Russian Foreign Minister Sergey Lavrov stated on Thursday during a meeting with Azerbaijani President Ilham Aliyev. "We want to continue to support open dialogue between Baku and Yerevan on the regulation of the Nagorno-Karabakh conflict," the Russian top diplomat said. Lavrov added that he is interested in hearing Azerbaijan’s position on the progress already achieved, and stressed that Moscow would do everything possible to facilitate an agreement between both countries. 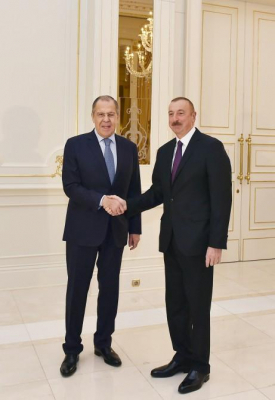 Russian Foreign Minister also congratulated Aliyev on Azerbaijan’s successful chairmanship at the Organization of the Black Sea Economic Cooperation, and noted a high level of relations between Baku and Moscow. "Vladimir Putin sends his warm regards," Lavrov added. "He values your personal relationship, which helps to boost our strategic partnership, very highly," the diplomat addressed the president.